Joe Biden shared a video on Twitter on Wednesday in which he vowed to be more “mindful and respectful” of people’s personal space, following several accusations from women who have said the former vice president’s physical behavior toward them is invasive. Biden, 76, has hugged many women and rubbed their shoulders in public events, and has explained his behavior as a “grandfather-like” way of showing affection. Nevertheless, some commentators — like a recent Huffington Post op-ed — called his actions a form of “benevolent sexism” and said his initial response to the women’s claims did not seem like a direct, formal apology. 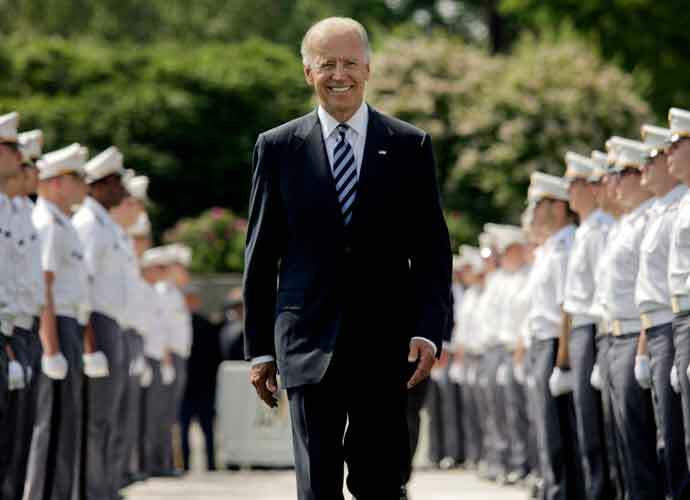 Biden has been leading several recent polls of favorite 2020 Democratic presidential candidates even though he has yet to formally announce a bid. Biden’s allegations are also even more relevant in the post-“Me too” era that has seen dozens of famous men fall from grace in the wake of sexual harassment and assault allegations. In total, four women have thus far revealed Biden’s physical interactions with them over the years made them uncomfortable: former Nevada state assemblywoman Lucy Flores, Amy Lappos, Caitlyn Caruso and D.J. Hill. Sen. Elizabeth Warren (D-Mass. ), another 2020 presidential candidate, called out Biden for his actions and said he should apologize for them. Rep. Nancy Pelosi (D-Calif.), the House Speaker, said Biden’s behavior was not disqualifying for a presidential run but that he should watch how he interacts with women in the future and be more respectful of their personal space. President Donald Trump also trolled Biden on Twitter Thursday afternoon by sharing an edited version of Biden’s video, which showed the former vice president creeping up on himself and rubbing his shoulders.